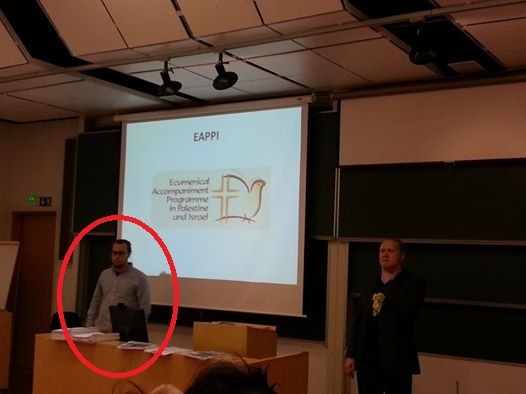 CBN: EAPPI Activists Infiltrate Churches To Spread Their Anti-Israel Propaganda……. – The Tundra Tabloids……. CBN: EAPPI Activists Infiltrate Churches To Spread Their Anti-Israel Propaganda……. The activist circled in red is now a ‘journalist’ for the Finnish state broadcaster YLE. An incestuous relationship exists between hard-Left groups and the state media. Is This Group Infiltrating Churches with Anti-Israel Propaganda to Launch ‘Political Warfare’? JERUSALEM, Israel – The World Council of Churches calls itself broad and inclusive with a goal of Christian unity. A new report also claims the organization is behind a program to train young people in the West Bank as observers then send them home as anti-Israel advocates. This effort is called the Ecumenical Accompaniment Program in Palestine and Israel or EAPPI. 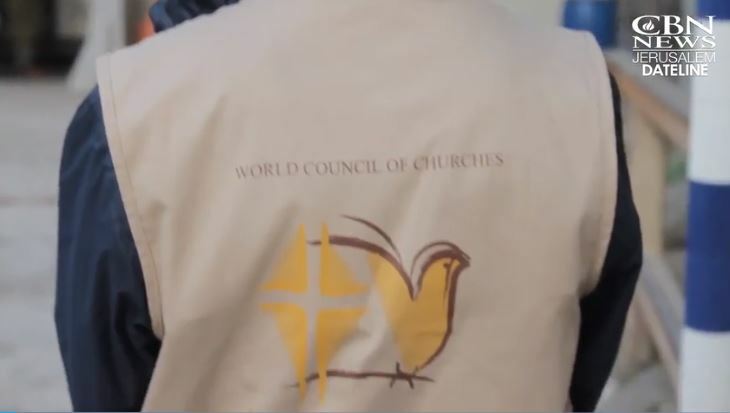 The World Council of Churches started the program in 2002. These volunteers then head home to tell churches, congregations, and others about it. Those presentations often take a very negative and even anti-Semitic tone. “It has nothing to do with religion. It is mainly political warfare. It is mainly run by the Zionists. It is a Zionist ideology to try and drive every Palestinian out of that land, to create a Jewish State,” said Itani Rasalanavho, a program participant, during a presentation. The WCC denounces anti-Semitism as a sin against God and spokesperson Peter Prove tells CBN News that the program is all about human rights. “The ultimate purposes of the program are to address human rights violations, impacts upon human dignity and to promote on a positive side, a just peace for both peoples,” he said. Previous Post Previous Post Julie Kelly: Schiff for Brains Misleads Congress……. Next Post Next Post Finnish flagship paper Helsingin Sanomat spreads #fakenews on schoolkids in MAGA hats, swallows whole debunked Wash-Poo narrative…….